For the past five years, I’ve been making time at the end of the year to go through these questions for myself. It’s a lovely way of holding the year in my hand, of culling the gems from the year and releasing the moments you’ve finished with. I won’t post my answers here, but I do invite you to look through and think about some of the questions. What are some of your favorite traditions to mark the New Year? I ask this, knowing that for many, the transition from December 31st to January 1st is less of a “new year” than the Lunar New Year, Rosh Hashanah, the beginning of a new school year, or some other personal marker of time. So give me all of your rituals, whenever you celebrate them. And Happy New Year! May 2009 bring us all peace, abundance, love, joy, deep connectedness, and, of course, great orgasms. Also, happy birthday to our very own Courtney Martin! Thanks for being born. Next month, five of our very own Crucial Minutiateers will be speaking on a panel called “How to be a Professional Writer, Create Community and Still Pay Your Rent” at 92nd Street Y in Tribeca on January 21, 2009. Come get a taste of what Crucial Minutiae looks and sounds like in person! The Daily News in Longview, WA, named “Fat Envelope Frenzy” one of the ten best books of 2008. 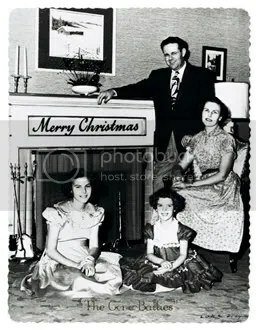 Note: This is not, in fact, the Martin family. The Martin family is all together, we’ve got a fire going in the kiva fireplace, a foot and half of snow outside resting on the adobe, and a brand new wii that makes us all look insane when we play it. I figured I’d let the family author my post this week, cause I’m lazy and full of tea. The first thing you must know is that you are already singing. Don’t forget — in January, five of our very own Crucial Minutiateers will be speaking on a panel called “How to be a Professional Writer, Create Community and Still Pay Your Rent” at 92nd Street Y in Tribeca on January 21, 2009. Come get a taste of what Crucial Minutiae looks and sounds like in person! Book reviewer hat is on–at least for a short you-must-read-this shout out. I would do the same for my fave books, but not everyone stands on the subway platform reading aloud like an idiot the poetic sentences of Louise Erdrich. But this book is for everyone. FLOW was written by Mihaly Czikszentmihalyi (let’s call him C) back in 1990 and resurrected for me by my best friend. Part scientific study, part sociological examination, part self-help, C breaks down all the elements of that easy feeling called flow–when the clock stops, inner worry chatter stops, and focus aligns. No, you don’t have to meditate all day to slip into this feeling. Flow can happen when playing tennis, working on an assembly line, playing chess, folding your socks, love making, or doing almost anything, as long as it engages you. Sounds easy? Not exactly. Some people, those with an autotelic personality, are naturally better at it. 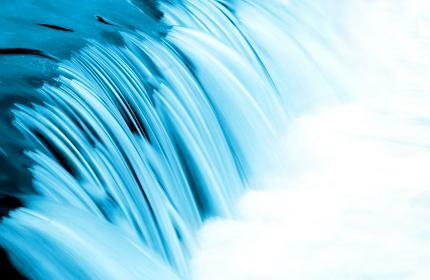 C guides us in how to maximize the potential of flow. He unwraps our culture’s discontent, the location of consciousness, pleasure (J. Gandin Le! ), chaos, the body in flow, the flow of thought, work as flow, solitude, and life themes. How might we experience deep enjoyment on a regular basis, if not always? No matter who you are; no matter where you are; no matter your situation. It’s worth the read, worth the effort. Because we all know that you can’t save the world until you start to get a grip yourself. What Is Self-Esteem? And Do You Have It? P.S. Check out Courtney’s post about the self-esteem bubble, just in case you missed it. P.S.S. I’m taking a two-week break for the holidays. Wishing you all love, peace and joy! See you back in ’09! Arguments about the future of teachers’ unions aside, I think the biggest challenge facing the Obama administration and our Secretary of Education elect, Arnie Duncan, is the persistent racial/ethnic achievement gap in American schools. Having written a book on the fat envelope frenzy (my term for selective college admissions mania), I can tell you that American high schools graduate thousands of super stars every year. The problem is not that we don’t educate students. The problem is that we don’t educate all students. You’ve all heard of the term “achievement gap” but what does it actually look like? Why should you care about it?